This section is still work in progress. While run MQTT broker on localhost and on a standard port, without autentification, you can load the plugin by editing your config.json to include the following in the plugins section. 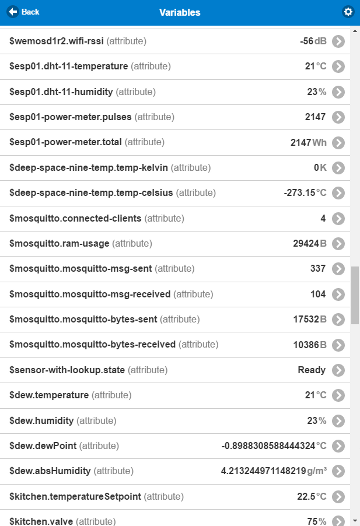 protocolId "MQTT" String With broker that supports only MQTT 3.1 (not 3.1.1 compliant), you should pass "MQIsdp"
MqttSensor is based on the Sensor device class. 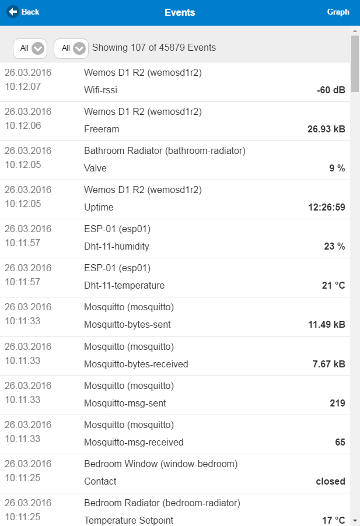 Handles numeric and text data from the payload. Supports lookup table to translate received message to another value. discrete false Boolean Should be set to true if the value does not change continuously over time. messageMap - Object Even Pimatic 9, you must manually configure this. We're working on it. MqttSwitch is based on the PowerSwitch device class. retain false Boolean If the published message should have the retain flag on or not. 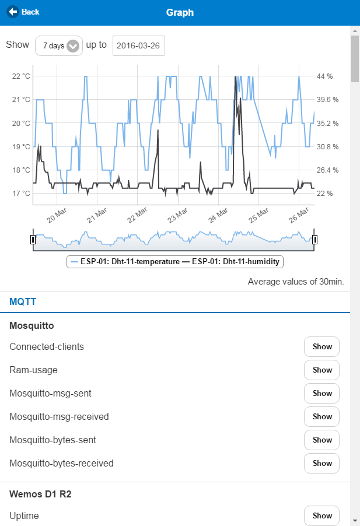 MqttPresenceSensor is a digital input device based on the PresenceSensor device class. MqttContactSensor is a digital input device based on the ContactSensor device class. MqttDimmer is based on the Dimmer device class. 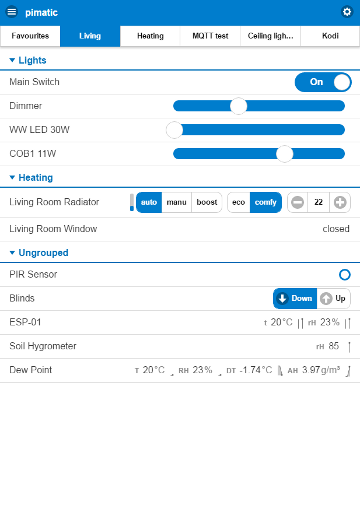 topic - String Topic for control dimmer brightness. resolution 256 Integer Resolution of this dimmer. For percent set 101.
message "value" String Format for outgoing message. MqttButtons is based on the ButtonsDevice device class. sweet pi for his work on best automatization software Pimatic and all guys from the pimatic community. 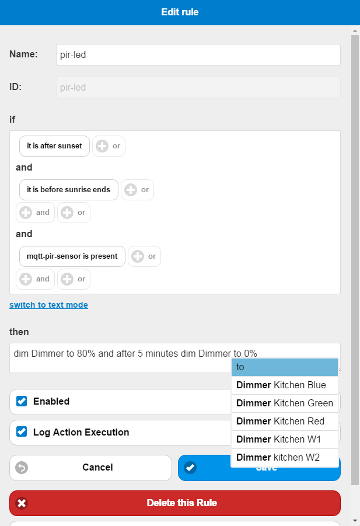 Andre Miller for for his module pimatic-mqtt-simple from which it comes also part of the code. Marcus Wittig for his nice module pimatic-johnny-five which was a big inspiration. number The QoS level of the topic and stateTopic(if exist). Default is 0 and also be used to publishing messages. boolean If the published message should have the retain flag on or not. number Constant that will divide the value obtained. number Constant that will multiply the value obtained.